Franliszek Walicki formed the first ever Polish rock band in 1958, which in a few years evolved into Czerwono-Czarni (red black). Apparently their line-up changed a lot of limes, but most of the album sleeves only credited the singers. Their first album contained mainly r&b and beat material, influenced by anything from The Animals to The Kinks. 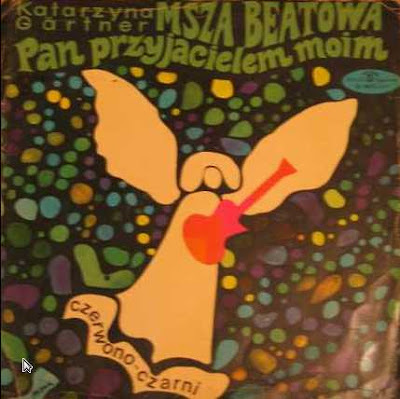 Msza Beatowa (Beat Mass), composed by Katarzyna Gärtner, was the Polish equivalent of The Electric Prunes's Mass In F Minor, curiously merging separate sections of orchestrated sixties harmony pop, psychedelic raga rock and church organ sections. An uneven but historically interesting effort. Later albums are rumoured to be more adventurous.